If you like this free game, try Travian: Legends. In Rail Nation, Travian games took a tremendous leap towards exploring a new MMO gameplay. Shying away from the typical strategy game like the Travian kingdom, Travian games gmbh has developed a unique time management game that revolves around railroads and trains. In this train simulation, Rail nation encourages you to be a railroad entrepreneur as you build your own train empire. Not only do you get technical with station buildings but you also get to explore the lucrative and strategic aspects of owning a railway business. In this browser game, route your railroad maps and work on profitable routes for your upcoming tracks. In this time management game published by Travian games, you will have to create a rail network connecting all cities and industries on the map. The main objective of this game is to be the largest train empire of your server. Other than building a network that is densely connected to places of the map, routes taken by the trains must also be carefully considered. Shorter routes aren't always the best choice as there will always be routes that require more maintenance. Finding an optimum route for your railway may take a while. In your train station, maintenance could be another challenging issue. Grooming a strong mechanical workforce for maintenance may go a long way. As you go deeper into this train simulation game, other problems may surface, grit your teeth and find the solutions needed to salvage your train empire. Unlike typical real-time strategy games, Rail nation can have its game process being run on the background while you get busy with your work. You will only need a few minutes a day to maximise your production. In this unique MMO game published by Travian games, one round of game will last for approximately 3 to 4 months (which is about six eras). After that, the server will reset to the first era and the owner of the top train empire within that server will be declared. The cycle of six eras will then repeat itself.At the beginning of the game, Rail nation will bring you through a comprehensive tutorial before you select a hub city for your main train station. The station buildings can be further upgraded and the tracks can be extended throughout the country’s rail network. While playing Rail nation, you will realise that eras advance according to the server's time. Regardless if you are actively playing, after every 14 days, a new era begins on each server. In this simulator game, you must plan for the schedules for the transporting of goods. You will make a profit through every successful transportation. As you build up your profit resources, you will be able to develop your own train fleet consisting of more than 35 different types of trains with 48 unique waggons. As you immerse deeper into the game, your goods will make their way to an ever-growing number of cities and players. You will then be able to form associations with more than a million players who are on the game. This allows players in corporations to work together in completing various tasks. Although rail nation may not have jaw-dropping graphics, its visual is currently in line with the present standards of a browser game. The scenic images have animations added to give the environment a semblance of life. This is a game changer for 2D games where most of the image area is flat. The layout of the menu is simple and complete. This makes it really navigation friendly. In conclusion, Railway Nation is an MMO game that has a unique gameplay. Up to date, there are more than a million players gathering to compete in this fresh blend of time management & strategy game. Although the graphics may not be fantastic, it is in line with the standards of the browser game. The comprehensive tutorial also makes it really easy for players to understand the gameplay and controls of the game. If you are an adventurous MMO game player, you should try out Railway nation. Free download of Railway nation is now available in GameTop. 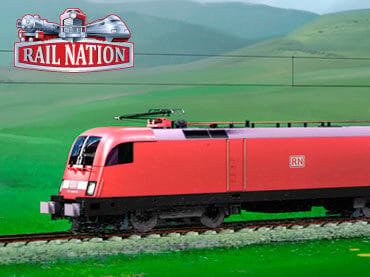 If you have questions about Rail Nation game, please contact us using this form.